Hi. 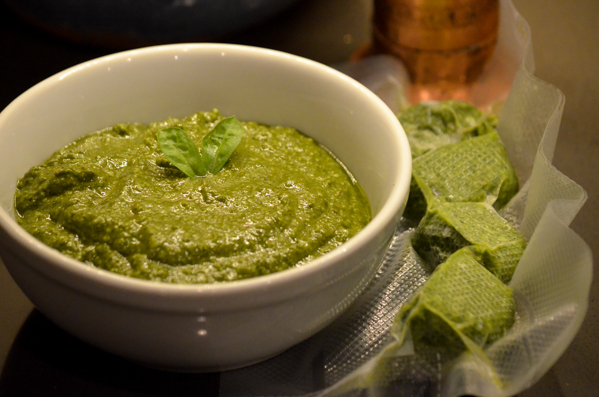 My name is Kathy, and I’m a pesto-holic. 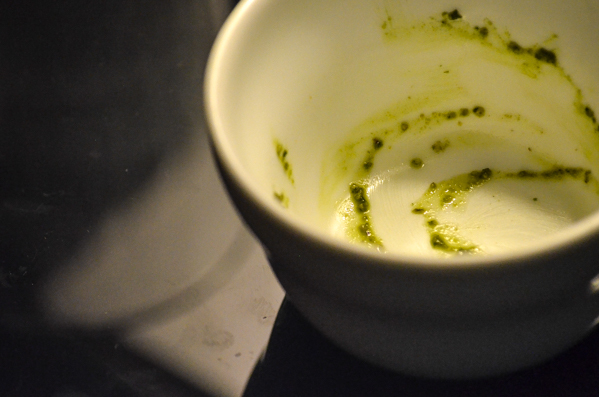 Pesto is the magical synthesis of the Flavor of Green, the Curative Clean of Garlic, the Warmth of Nut, the Peace of Parmesan, and the Umami of Olive Oil. According to Cook’s Illustrated, blanching “tamed” the garlic while bludgeoning the basil boosted its herbaliciousness. Our version is way less precious, easier, and absolutely delicious, but then again, we like our garlic on the feisty side. 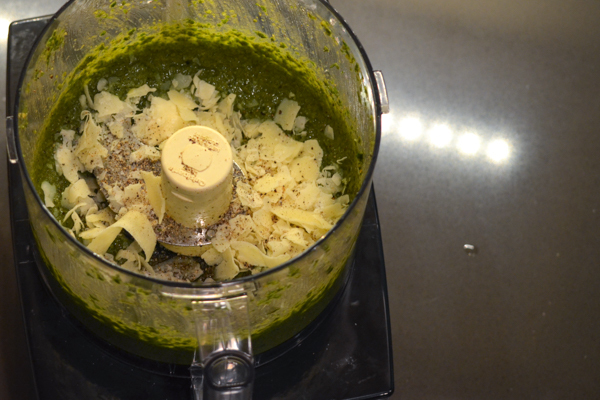 Fill almost to the top of the handle of your Cuisinart food processor (here’s why Cook’s Illustrated chose it and so did we) with fresh washed and dried basil, or use half basil and half baby spinach. We’ve tried both, and they are equally fabulous. 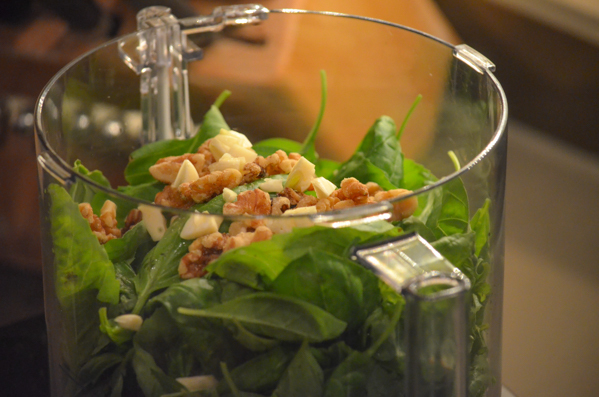 Add 1/2 c. high quality olive oil and 1/3 c. raw walnuts, 1/2 tsp. salt and fresh ground pepper. Pulse until mostly smooth. Add 1/2 c. parmesan cheese and pulse until blended. Adjust salt if necessary. Store in the fridge (up to 5 days, but it won’t last that long) with some plastic wrap pressed down so it makes contact with the surface to prevent excessive darkening. 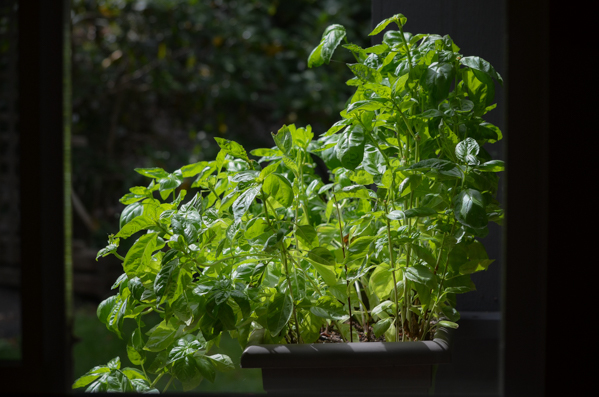 As my basil was waning, I harvested it all this week and made several batches. I took what I wanted to freeze and divided it into ice cube trays and covered tightly with plastic wrap before freezing for a couple of hours. I then took the frozen pesto cubes and used a vacuum sealer (our review here) to preserve as much color and flavor as possible, and popped them back into the freezer. Vacuum-sealed fresh basil in February, baby. Oh yeah. Try it in its classic incarnation as a pasta sauce, adding 1/4 c. of reserved hot pasta water to the pesto to loosen it up a bit and soften and blend the flavors before coating the drained pasta. But it’s safe get out on the ledge a bit here, too. Try it on everything from crackers to omelets—sublime when tucked in with spinach, parm cheese, and avocado—to salmon as a delicious crusty coating, layered on like icing before baking/broiling. Apparently, it also goes well with fingers. Wow! Looks yummy! Walnuts an interesting idea for pesto.